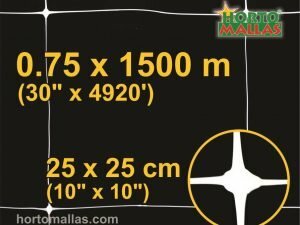 HORTOMALLAS Bean Netting for proper trellis support of your vegetable crops. 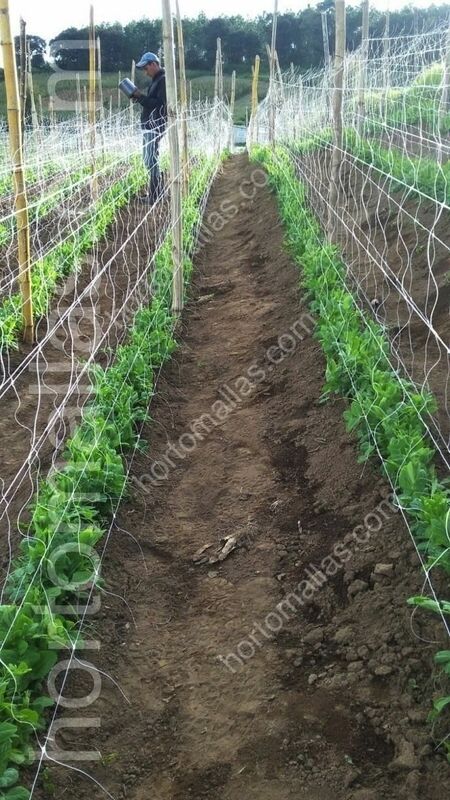 Bean netting is an essential component necessary to achieve a good harvest. 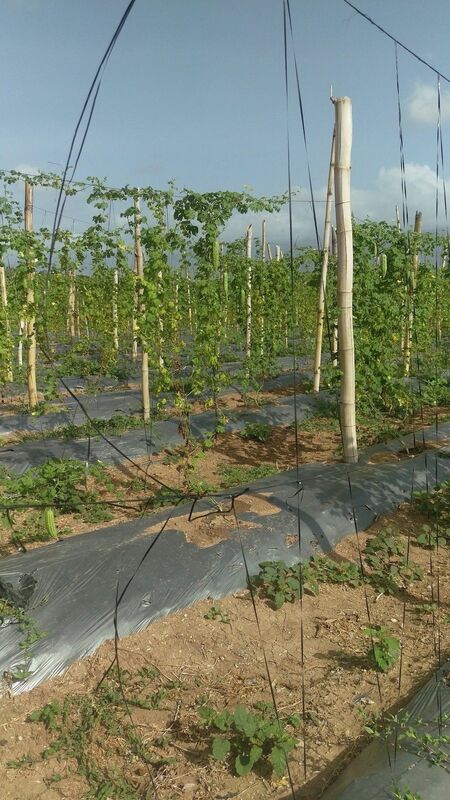 Leguminous vines will attach themselves to the strands of the netting meshes and create a foliage wall where airflow will improve a lot and each leaf will orient itself to receive the right amount sun rays. 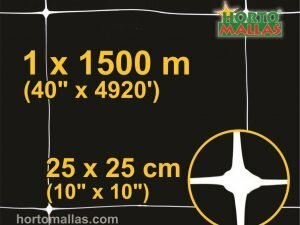 HORTOMALLAS is the “natural” choice for trellising vegetables, it is re-usable and long lasting even under the heaviest loads of vegetable matter, wind and rain. Keep in mind that beans and other species of its kind are good nitrogen fixers that they will improve the soil quality for the following crops, so rotation is a plus as the same structures (mulching, drip irrigation, posts and netting) can be left in place, just make sure you keep a good eye on white flies, as this pathogen vector loves beans, when deciding which crop to plant next. 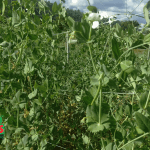 Bean are a great intercrop to build up some immediate cash, especially fresh peans, long peans, pole beans and even peas like sweet peas or snow peas are highly paid in the market. Supports for Climbing Beans and Peas. 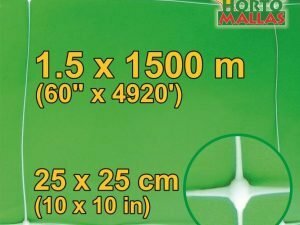 Vertically growing plants are an attractive feature of many vegetable gardens as well as being an excellent space-saver. 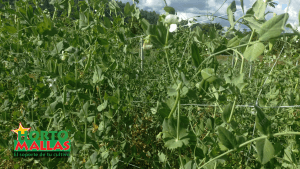 Climbing peas and beans (especially runner beans / pole beans) can be some of the most productive plants you can grow in a small space with two 6 foot rows providing ample harvest for several weeks. 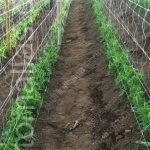 However, providing strong supports for these plants is essential. 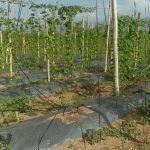 When the seedlings first emerge they may seem small and delicate but by the time the vines have wound their way up to six feet tall with a thick mass of leaves and pods the supporting structure will have to be strong enough to take the weight and sturdy enough to survive winds.